Contact Reasons are used to help categorize the contact requests submitted by customers through any channel (either via the embedded Contact Us form in the storefront, or by phone and email). You can create a list of contact reasons based on the most frequently asked questions or common issues. 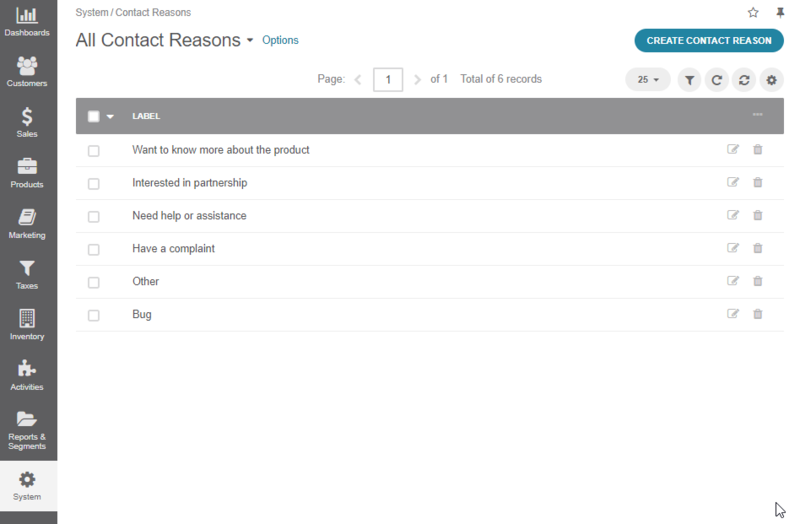 These reasons are displayed both in the storefront and in the management console, enabling customers and sales representatives to select the appropriate topic for contact requests. Navigate to System > Contact Reasons in the main menu. The list of available reasons is displayed. Click Create Contact Reason on the top right. Give the reason a meaningful name. Click the Translations icon to provide spelling for different languages. If localization is enabled in the system configuration, the corresponding translation of the contact reason is displayed in the storefront. Click the same icon again to return to the single-language view. Now you can edit the existing contact reasons or delete the unnecessary ones if necessary by clicking the or icons respectively at the end of the selected reason’s row. Once saved, the reason appears in the dropdown list of the corresponding section of the Contact Us form in the storefront. 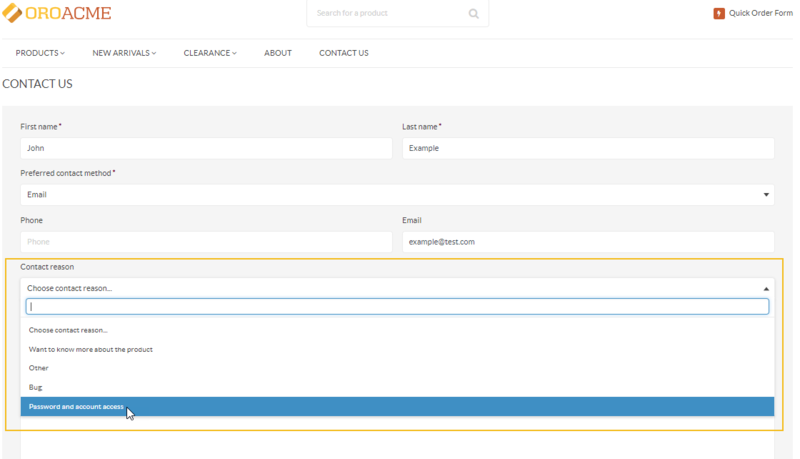 When a customer submits the form selecting a certain reason, the relevant request is created in the Contact Request module under the Activities main menu. The request contains the Contact Reason field that helps you identify a possible issue the customer is concerned about. 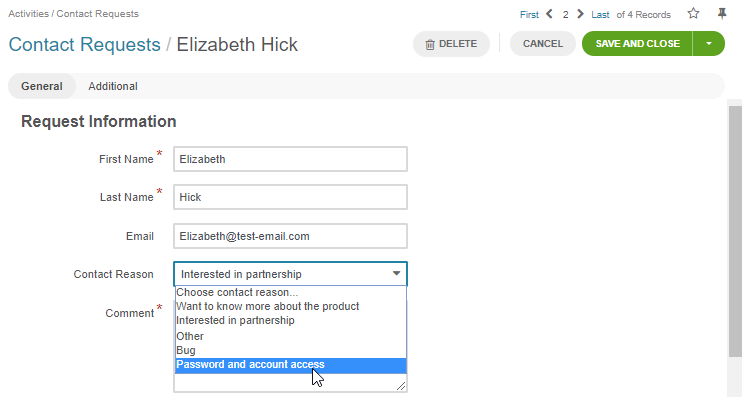 You can also assign a contact reason to a contact request manually by selecting the appropriate category when creating or editing a contact request. For more details, see the How to Create a Contact Request Manually topic.